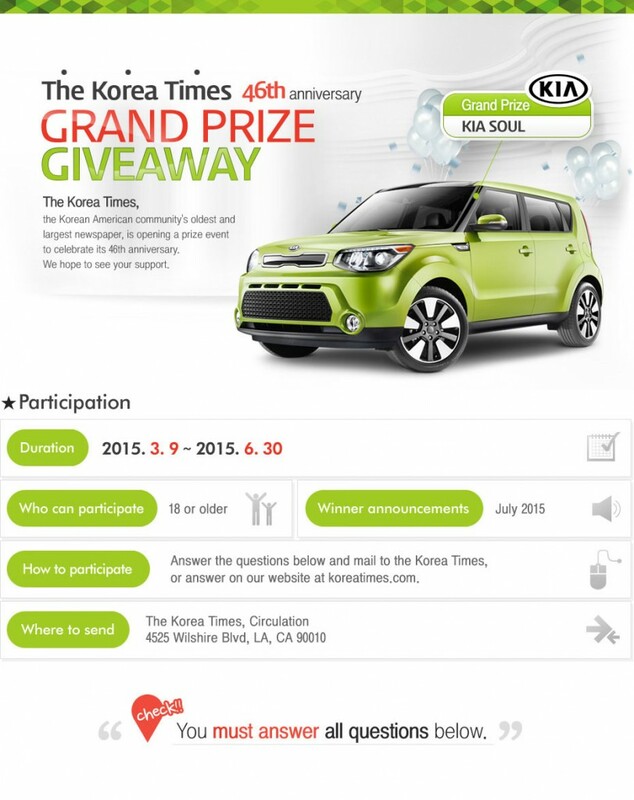 The Korea Times is holding a quiz event with more than 600 prizes — including the grand prize, a KIA Soul — in celebration of its 46th anniversary. The publication, headquartered in Los Angeles, was the first of its kind in the U.S. when it started on June 9, 1969 and has since expanded to bureaus all over the country. The quiz event is will run through June 30 and invites participants 18 or older to enter for a chance to win. 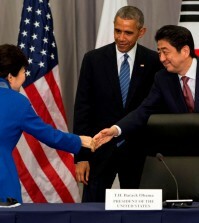 Quizzes in both Korean and English are available at koreatimes.com and at koreatimesus.com.